A joint venture between Australia Post and China Post is helping local businesses break into the Chinese e-commerce market. The agreement follows the signing a memorandum of understanding between the Victorian Government and Australia Post in March 2016 to strengthen e-commerce trade with China. Chin, the world’s largest e-commerce market with online retail transactions reaching $US499 billion in 2017, represents a huge opportunity for local businesses to grow exports and create local jobs. China Post, known as Sai Cheng Sai Cheng Logistics International, will offer Victorian businesses special rates across a range of supply chain solutions, including product registration, helping reduce the timeframe from six to 25 months down to three to six months. Sai Cheng operates 13 warehouses, nine of which are in free trade zones, across eight cities in China. The company offers warehousing, fulfilment, and delivery services within China and across the globe. Free trade zones are specialised areas where goods can be imported, handled and distributed alongside customs, helping Australian businesses connect to the Chinese market in purpose built facilities, which expedite trade and investment. During 2017’s Singles Day, also known as Double 11 Global Shopping Festival, Sai Cheng fulfilled 100,000 orders in the first 40 minutes of the sale, and more than 30,000 orders were placed on Tmall, JD and Little Red Book. 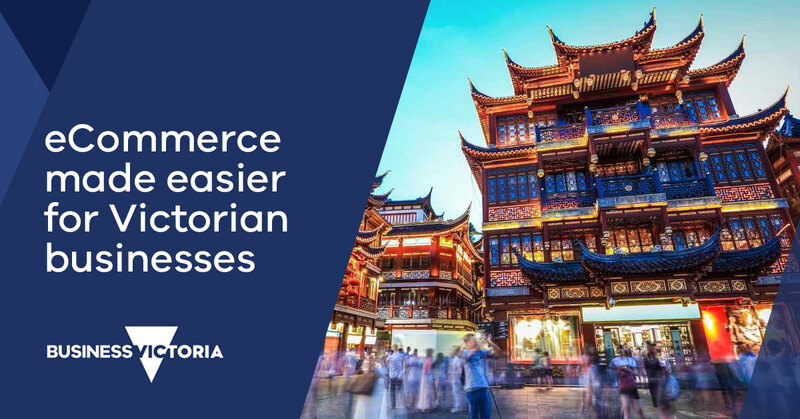 The Victorian Government is also hosting workshops across the state, establishing the Victorian E-commerce Network and bringing key Asian e-commerce players to Victoria. It has also been instrumental in attracting Chinese e-commerce investment to Victoria with both JD and Alibaba establishing regional headquarters in Melbourne, and is proud to have Alibaba’s local Managing Director Maggie Zhou as our first Victorian Business ambassador. For more information or to access this offer please visit Trade Victoria.